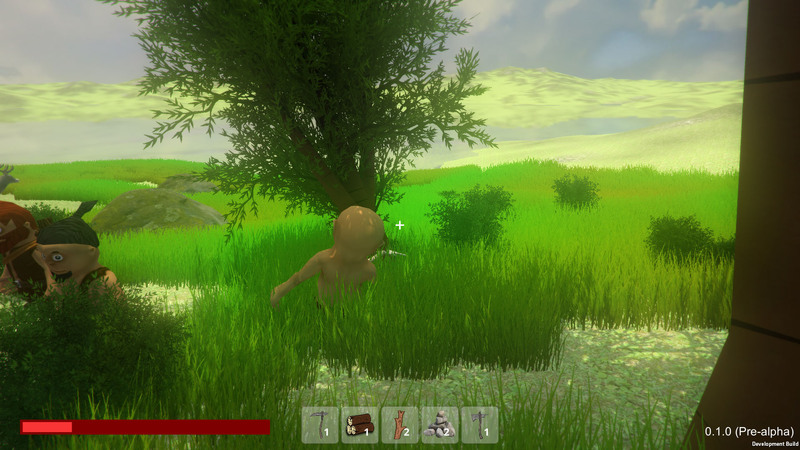 Survive in a hostile environnement and create the first houses for your tribe. 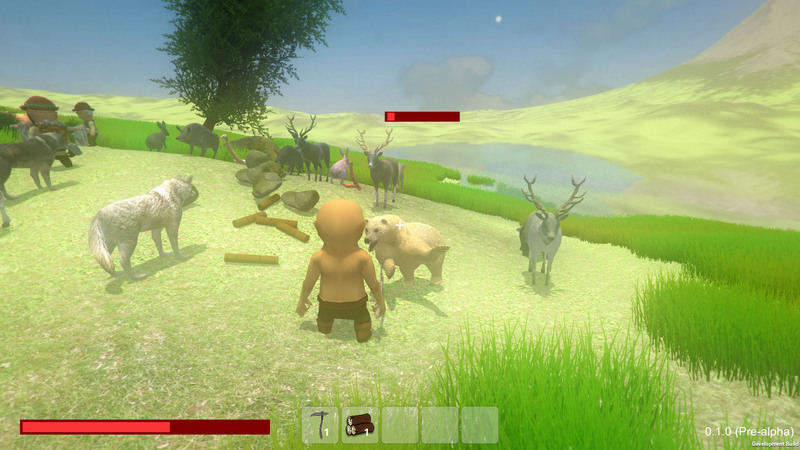 Chop trees, mine stone, hunt animals, craft stone and wooden neolithic tools. 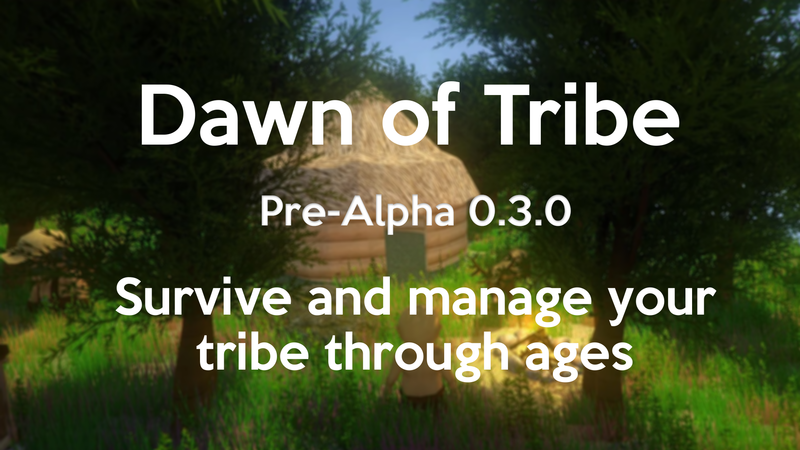 Manage your tribe like you would in a city builder and discover new skills, new materials so that you can make your tribe prosper and grow through ages. 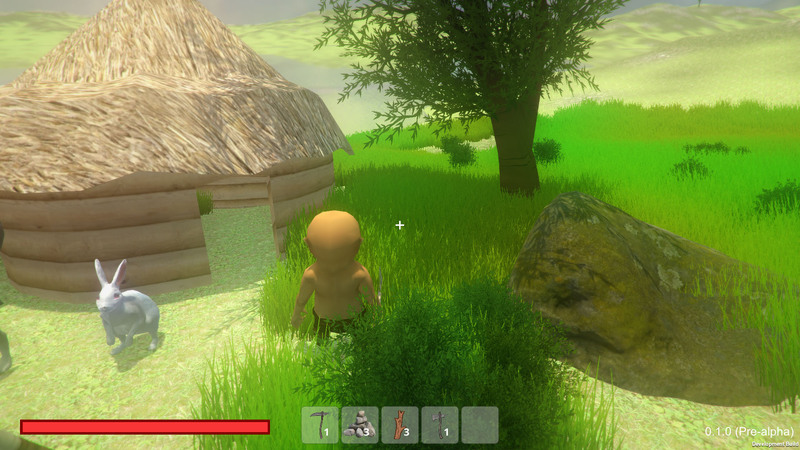 I began developping the game the first of January with the challenge in mind of finishing it in 1 year!